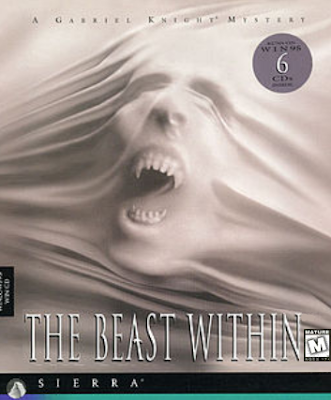 Gabriel Knight 2: The Beast Within was the second game in the Gabriel Knight series. This time the game used full motion video with real life actors. In this game, Gabriel travels to Germany where he inherited a castle, and his family legacy. The villagers plead with him to investigate the death of a girl they claim was caused by werewolves.